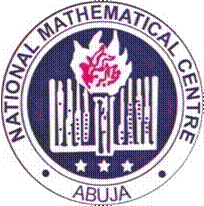 National Mathematical Center, [NMC] Nigerian Mathematics & Sciences Ogun State Mathematics and Sciences Olympiad First [1st] Round [I] Junior & Senior Results for 2018/2019 Session - Download Ogun State Olympiad Results in PDF. The National Mathematical Center has published the full results of the Ogun State Nigerian Mathematics & Sciences Olympiad 1st Round Results for the 2018/2019 academic session. The results are for Ogun State candidates who participated in the Junior Mathematics competition. Good job, I am a teacher, one of my my students participated in this year biology olympiad and I have been looking for the result. got it now.